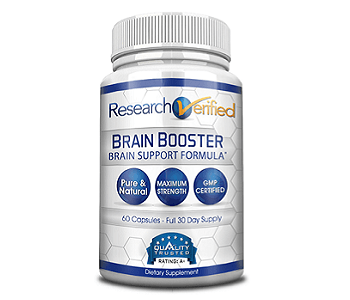 Research Verified Brain Booster Review - A Wise Purchase? This is a review for Research Verified Brain Booster. Our research shows that consumers can count on this product to boost brain functions. 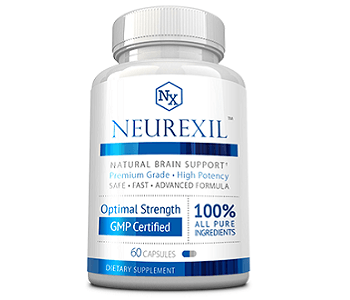 This product claims to have a dual-action formula for enhancing cognitive energy. It also promotes cerebral health. The product does not have any additives, preservatives, or artificial ingredients. Read further to know more about this product. Huperzine A– This ingredient has neuroprotective effects for improving memory and boosting cognitive function. It inhibits the breakdown of acetylcholine, the neurotransmitter that enables the CNS to respond to stimuli. It also improves plasticity and learning. L-Tyrosine- It relieves stress, enhances cognitive function, improves fat burning, and enhances mood. It also contributes to the production of neurotransmitters. L-Theanine- This amino acid reduces physical and mental stress. It also boosts cognition, cognitive performance, and mood. St. John’s Wort – This shrubby plant has antibacterial, antioxidant, and antiviral properties which may help reduce the symptoms of depression. Vitamin B Complex- This vitamin contains vitamins B1, B2, B3, B6, and B12. These vitamins are essential for nerve, heart, eye, blood, and skin health. They also reduce inflammation and ensure a healthy digestive system and metabolism. Choline Bitartrate-It increases the release and synthesis of acetylcholine increasing brain performance and function. DMAE- It increases permeability and fluidity in your brain cells. Alpha Lipoic Acid-It alleviates oxidative stress and brain damage. Phosphatidylserine-This ingredient supports brain neurons and maintains neuroplasticity, as well as memory function. ALCAR (Acetyl-L-Carnitine)- It is essential for metabolic energy generation and has strong antioxidant properties. Bacopa Monnieri– This herb enhances memory, learning rate, information processing, anxiety, and concentration. Guarana- It relieves tiredness, lightens mood, and boosts concentration. It also stimulates blood flow and increases the production of an important neurotransmitter known as serotonin. Glutamine-It plays a significant role in providing carbon and nitrogen to the body. It is also beneficial for mood, anxiety, depression, and insomnia. Gingko Biloba- It is good for headaches, memory loss, concentration problems, mood disturbances, and hearing problems. The suggested dosage is two capsules per day. Take one capsule two times per day for maximum effectiveness. One bottle contains 60 capsules meaning that it lasts for 30 days. The capsules should be taken before meals with eight ounces of water. You should not take more than the prescribed amount. Pregnant women, nursing mothers, children under 18 years of age, and persons with known health conditions should seek help from a doctor before using this product. This manufacturer bases their formula and dosage on scientific research which you can learn more about in Research Verified detailed reviews. According to the manufacturer, this dietary supplement is risk-free, which implies that there are no side effects. You can purchase this product at discounted prices. The price of one bottle is $48 while three bottles will cost you $33 per bottle. The most popular package consists of six bottles, which cost $24 per bottle. These packages allow consumers to choose a package that best suits their needs and financial ability. Unlike most producers of similar products, the manufacturer offers a money-back guarantee that lasts for a whole year. We did not find any customer reviews during this review. In summary, this product is effective because of its powerful blend of scientifically proven ingredients. Other significant benefits include discounted prices and a prolonged money-back guarantee. Moreover, the product is risk-free and the manufacturer is GMP certified.